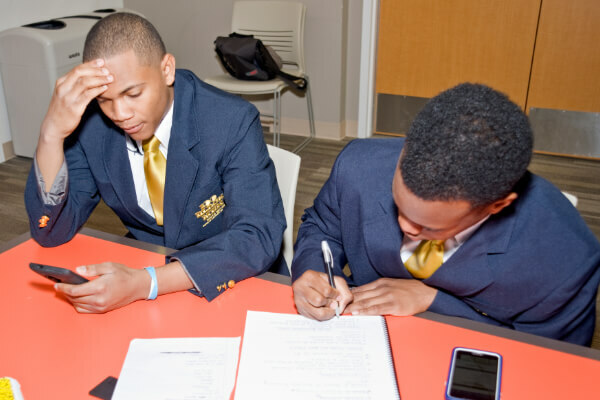 award-winning mentoring program for boys in grades 8-12.
with alumni mentees awarded over $3.5 million in scholarships! in April of every year. 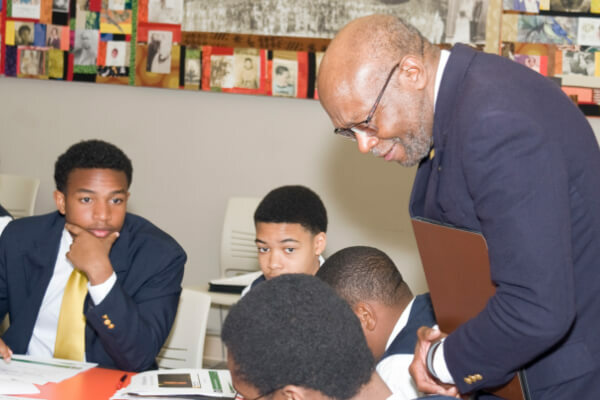 The Rites of Passage Academy (ROP) prepares young men for the future by building a better quality of life. This enables the young men in the program to attend a college or an institute of higher learning of his choice. Our academy is the gateway to success for many young men that we mentor. ROP provides a bridge of adolescence to adulthood for young African American males in grades 8-12. The curriculum consists of 18-22 weeks of social skill building, classroom mentoring, lectures, field trips, nature explorations, finance and investment training, conflict resolution and much more. 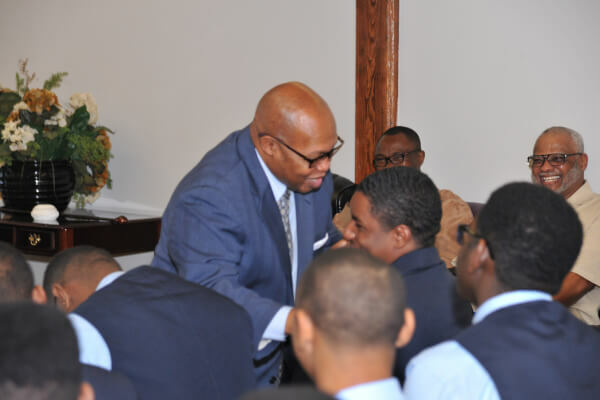 During the program, the young men are exposed to a myriad of situations that assist them in their journey into manhood. 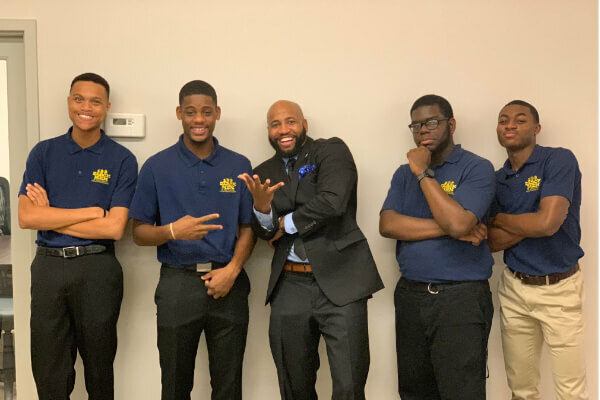 This holistic approach grooms the young men for the demands and expectations of successful adult life by addressing topics such as personal responsibility, social skills development, business and finance skills, career selection, and community involvement. 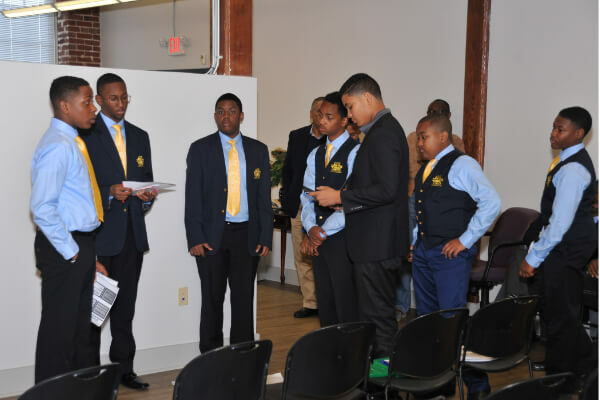 The Rites of Passage Academy consists of young men in 8th-12th grade. Nevertheless, at this time we only accept 8th-10th graders so that participants have a minimum of (3) years in the program. While the major area of service is South Metropolitan Atlanta, students outside of the service area may apply for admission to the ROP Academy. Also, while our organization is committed to serving and strengthening the African-American community, the Academy proudly welcomes young men of all ethnicities, creeds, and socio-economic backgrounds. Each candidate must complete the online application, pay the $25 application fee, and complete an in-person interview with members of the South Metro chapter. When, where, and how often does the program meet? Sessions are held Saturday mornings (3-4 times per month) at our East Point headquarters at 10:00 AM and are closed to the public. Participants are expected to attend each session, with the exception of emergencies and prior engagements. The program operates during the school year and breaks during the spring-summer months (May-August). The one-time application fee is $25 and the annual program fee is $100. Once a young man is accepted, he does not have to reapply each year, but the Letter of Intent must be submitted at the end of December and the end of June. The program fee must be paid each year at the beginning of the program. There may be other minimal, non-mandatory costs throughout the operating year for outings, college tours, etc. The South Metro chapter covers all mentee’s uniform fees and travel expenses (if applicable). Mentees participate in various workshops and service initiatives that are meant to develop and strengthen their leadership skills, and make them well-rounded productive members of society. Our curriculum consists of seminars on interviewing/public speaking, dress for success, financial literacy, health and wellness, law and justice, college/career preparedness, and more! 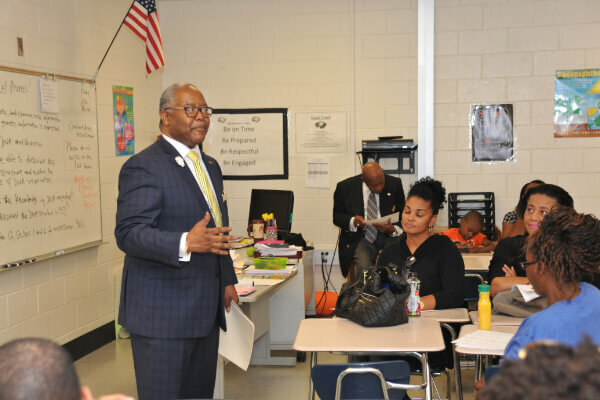 The curriculum contains components from the High School Financial Planning Program (HSFPP), the AT&T Leadership Program, and Wells Fargo Pathways to Success Program. What is the difference between a ‘Program Participant’ and ‘Mentee’? There is no difference between the two! They are used interchangeably! Typically once you join the program you are referred to as a mentee. Is The Academy for me? The Academy has firm attendance, grooming, and behavioral standards. We encourage you to review the “Rules of The Road” and “Letter of Intent” which are available on our website! While we are not a military or corrections-style program, we have the utmost expectations of our mentees and parents. If you are seeking correctional or behavior assistance for a candidate, this program is likely not for him. Parents/Guardians: Please come to a mutual agreement with the candidate before applying. Enrolling him in the program without him understanding what will be expected of him will negatively affect his success in the program. Applications are available each year on April 1st and interviews are held in June. The program operates during school year, with sessions beginning in mid-August.